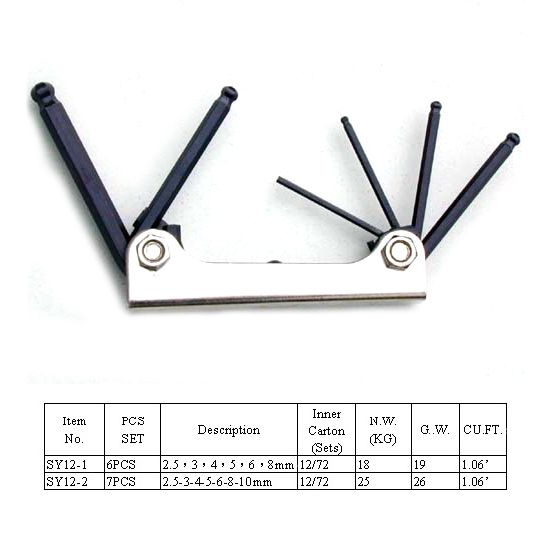 SY12-1~2 Folding Type Ball Point Hex Key Set - High quality Taiwan SY12-1~2 Folding Type Ball Point Hex Key Set provides by Sheng Yi Enterprise Co., Ltd.
quality and performance for professional use.
. Packed by blister card or sliding card.